Alcatel Pixi 4 Plus Power Announced, Equipped With 5000 mAh Battery! 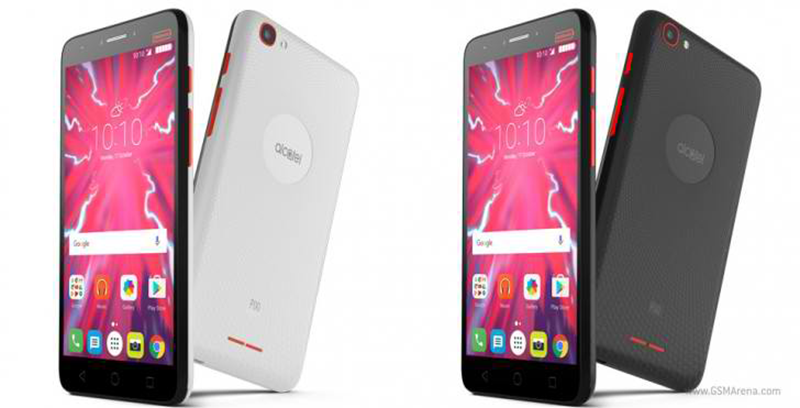 Home / alcatel / mobile / news / Alcatel Pixi 4 Plus Power Announced, Equipped With 5000 mAh Battery! Today, Alcatel has introduced the latest member of their growing Pixi line, the Pixi 4 Plus Power. As the name suggest, the Plus and Power means that this is a phablet sized device with large battery capacity. For starters, the Alcaltel Pixi 4 Plus Power is a hip and trendy entry level handset with 5.5 inch HD IPS screen with a resolution of 1280 x 720 pixels at 267 pixels per inch. Strangely, the company failed to disclose the type of processor it is using, but we suspect it to be a quad core chip with no LTE. Anyway, it has 1 GB of RAM, 8 GB of expandable internal storage up to 32 GB, and highlights its HUGE 5,000 mAh of battery capacity w/ quick charging and powerbank support. Alcatel also claims that it can last for up to 2.7 days without charging on regular use. Related: Alcatel Pixi 4 Plus Power With 5000 mAh Battery Now On Pre Order In PH! The rest of the specs includes an 8 MP w/ AF and LED flash, 5 MP selfie camera w/ LED flash, Bluetooth, 3G, dual SIM support, and runs on Android 6.0 Marshmallow operating system. There's no word about its pricing and availability yet though. We'll keep you guys posted.